For six years before the war, Phil Brinkman had been a commercial artist with advertising agencies in Chicago and St Louis. 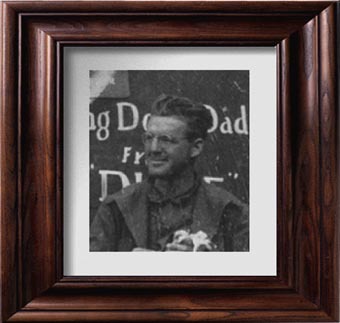 On being drafted into the USAAF he was assigned to a guard unit at the Davis-Monthan AAB at Tucson, Arizona. It was not long before his artistic talents were recognised and for more than two years Brinkman spent much of his time painting murals around the base. 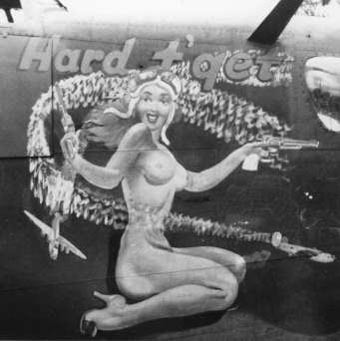 Shortly before the 486BG was ordered to England, the CO of the 834th Squadron, Capt Howell, had the artist transferred into the unit. 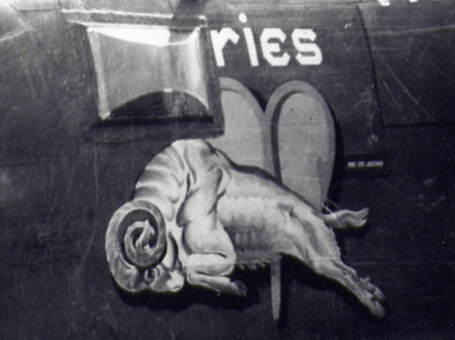 Together with Capt Howell, Phil Brinkman came up with the idea of painting each of the unit's B24s with an image based on one of the signs of the Zodiac. When the 486BG settled in to Sudbury in England, Brinkman set to work. Group operations in the combat zone seemed to do its best to disrupt the artist's plans. 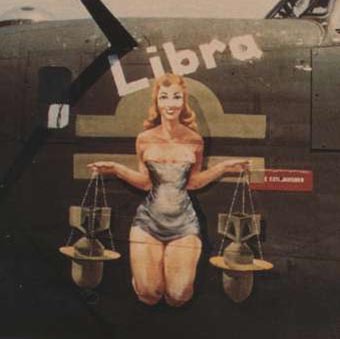 Three times he started to paint a B24 with the title "Taurus" but each time the aircraft was transferred out of the unit before he had completed his task. 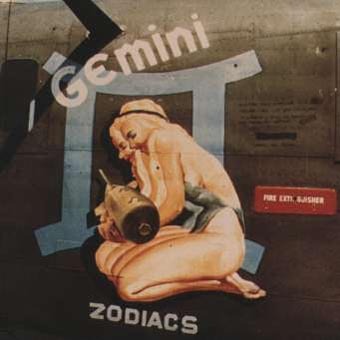 Eventually, Brinkman managed to complete his project and paint all of the zodiac signs, including two "Leo" Liberators as well as several other notable nose arts such as "Ding Dong Daddy", "Hard t' Get" and "Silver Dollar". In what little spare time the talented artist had, he also managed to paint several watercolour paintings of the base at Sudbury and its aircraft. Brinkman died in May 2000 but had continued to put his immense talent to good use painting the tranquil environs of Florida until he was over 80 years of age.